· Metal vane structure, heavy duty. · high or low velocities. 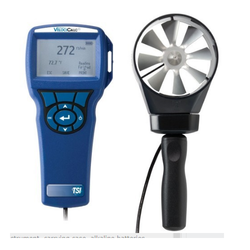 Anemometer named LUTRON ABH-4225 is very beneficial for the detecting purpose of wind velocity. The anemometer helps to read the measurements digitally which is much accurate. The remote sensor independently included in the anemometer makes it more convenient. - 13 mm dia heavy duty mini vane with telescope probe available for high temp. air velocity measurement. - Microprocessor circuit provides special functions and offer high accuracy. and features. - Low-friction ball vane wheels is accurate in both high & low velocities. - Multi-functions for air flow measurement : m/s, km/h, ft/min, knots. mile/h. 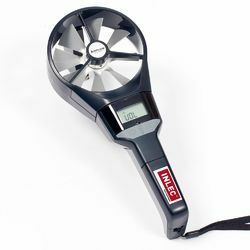 Our company is a master in providing CFM Metal Vane Anemometer.